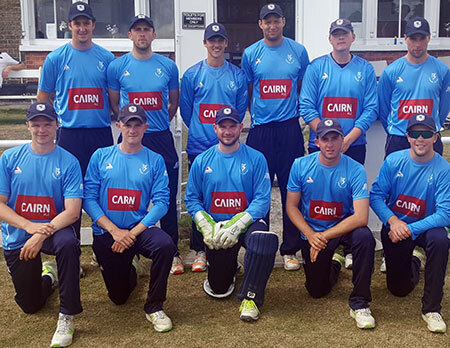 An unbeaten century by Oliver Gunning and four wickets for Fiachra Tucker were the highlights as Lightning Bolts recorded an emphatic 133-run win over the Emerging Knights at Phoenix Park. Gunning - an Australian born Irish passport holder who is on the radar of the Irish selectors - hit 10 fours and 2 sixes in an unbeaten 107 as the Bolts made 296. He shared a second wicket stand of 134 with skipper Nic Pretorius, who hit 7 fours and 2 sixes in a fine 83. Gareth Delany (31) had earlier added 74 with the impressive Gunning. Peter Eakin (4-34), Luke Allison (3-53) and Jacob Mulder (2-70) - a late addition for Mark Adair - were the successful wicket taker for the Knights. Jarred Barnes (3-30) and Rory Anders made early breakthroughs as the Knights never threatened the chase. Fiachra Tucker (4-16) ripped through a middle order badly missing Adair's power, and it was left to Muckamore's Sam Gordon to give the total some respectability. He thumped 5 fours and 2 sixes in a hard-hit 51, but it was all damage limitation as the Bolts closed out a 133-run win. A great work-out over the two days and the coaches will have be grateful for the opportunity to run their eyes over the players on the periphery of the interprovincial set-up. P Eakin 8-0-34-4; M Topping 10-0-56-0; J Matchett 5-0-29-0.